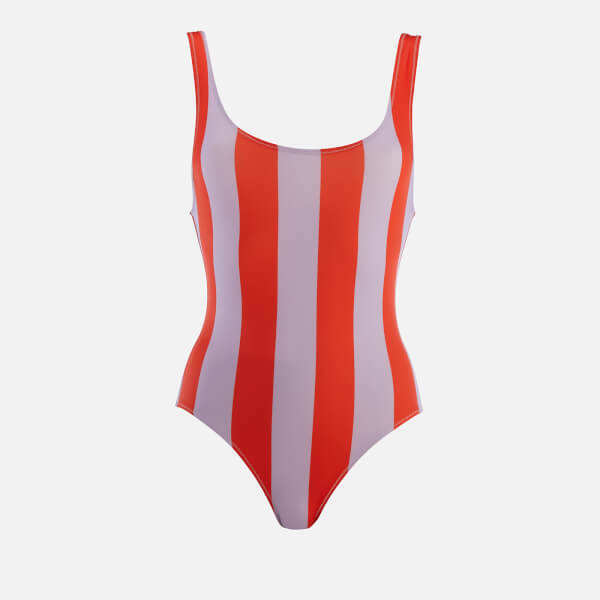 Lavender and red striped swimsuit from New York swimwear label, Solid & Striped. Crafted from stretch fabric, 'The Anne-Marie’ one-piece is designed with a low cut neckline, a scoop back and a full coverage rear. A high-cut hip accentuates the legs. Complete with zigzag stitched detail throughout.